Paris: Chez L'Auteur, 1855. First edition. 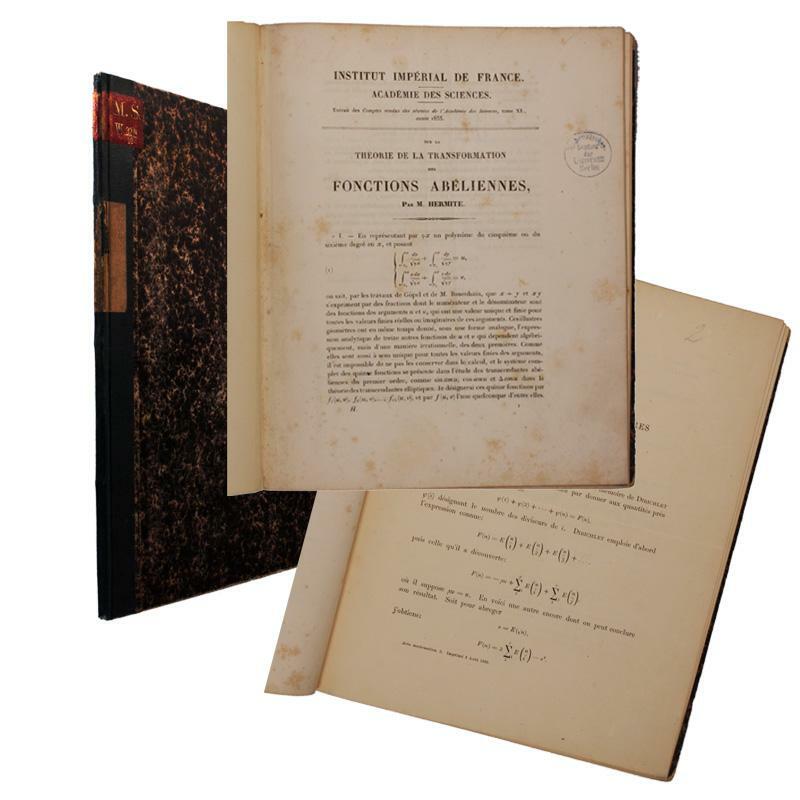 8vo., li, 416 pp., photolithographic frontis with tissue guard, large folding plate ("Tableau Synoptique des Substances Chimiques Employées en Photographie: Daguerréotypie, Talbotypie, Niepçotypie, Archérotypie and Papiers Positifs"). 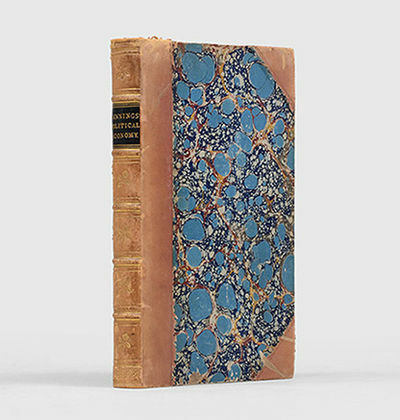 Contemporary quarter calf and marbled paper over boards, gilt title and decorative devices and rules on spine, with S.F.P. 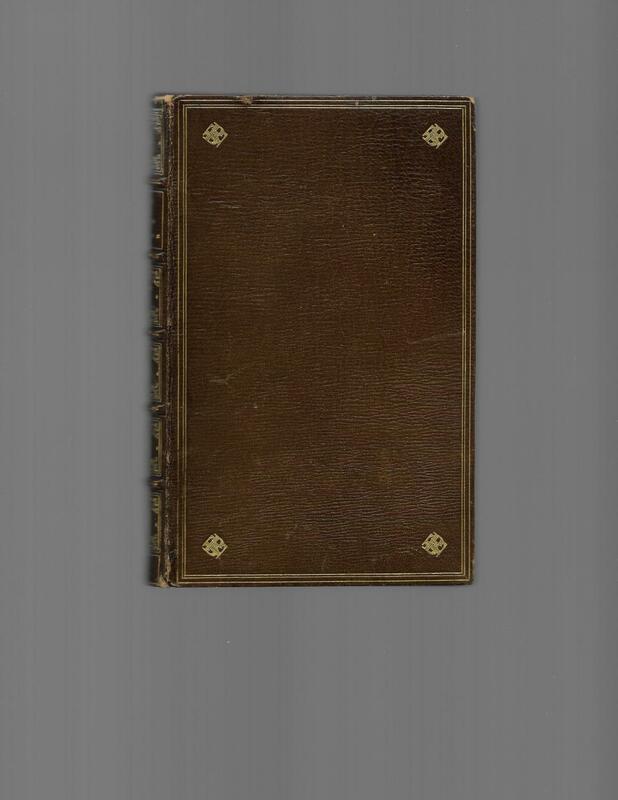 in gilt at the bottom (Société Française de Photographie) and shelf numbers in gilt on the calf portion of the front cover. A remnant of a printed label is affixed to the first blank endpaper; the previous owner, A. Bisey, whose large collection was acquired by the S.F.P., has marked this copy with his small neat stamp in the blank margin of the half-title page and his signature and label in the margin of the title page,. A very good and bright copy. Auguste Belloc, born in Paris in 1800, was a portrait miniaturist and watercolor painter. By 1851, Belloc was making portraits with the daguerreotype and calotype processes. He was one of the founding members of the Société Française de Photographie. In the mid 1850's, he was inventing, manufacturing and selling photographic supplies and equipment, which he continued until his death in 1868. In 1869, Marconi reproduced and published Belloc's exquisite nudes, which were deemed pornographic at the time. The above listed volume is important as both a theoretical and historical account of the earliest photographic processes; it includes a beautifully produced portrait frontispiece by the photolithographic process which he discusses in the preface. 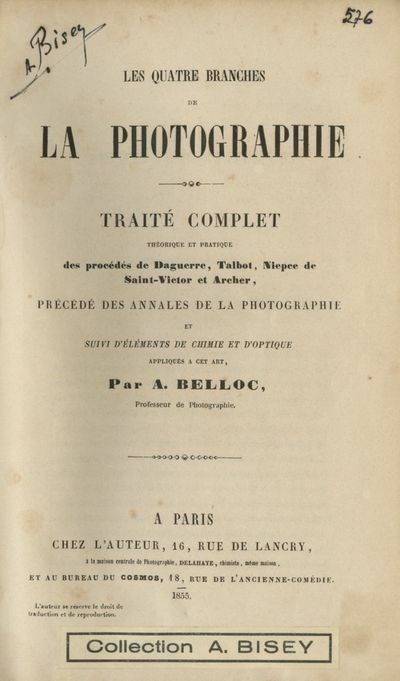 Bellier de la Chavignerie, Manuel Bibliographie du Photographe Francais, 1863, No. 82. Roosens and Salu fail to locate this first edition of this tile but do list the slightly revised 1858 edition, COMPENDIUM DES QUATRE BRANCHES..., No. 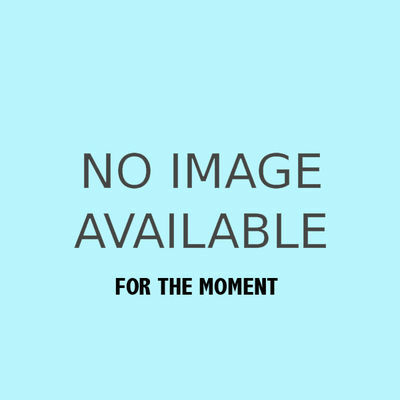 4244. New York: J.H. 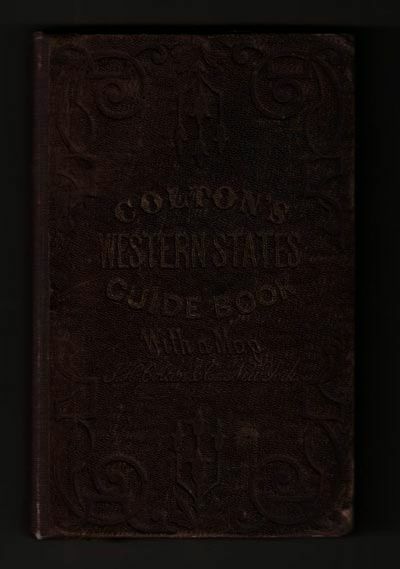 Colton and Company, 1855. First edition. Hardcover. 100 + 36pp. Sextodecimo (16mo) [15.5 cm.] Original brown cloth with decorative floral stamping to front and rear board. Title gilt stamped on front board, and blind stamped on rear board. Very good. Volume has been professionally rebacked. Light rubbing to extremities. Gentle bumping to corners. Hinges reinforced with binder's tape that matched the pages. Sporadic foxing throughout. Beautiful hand-colored map present at reverse. 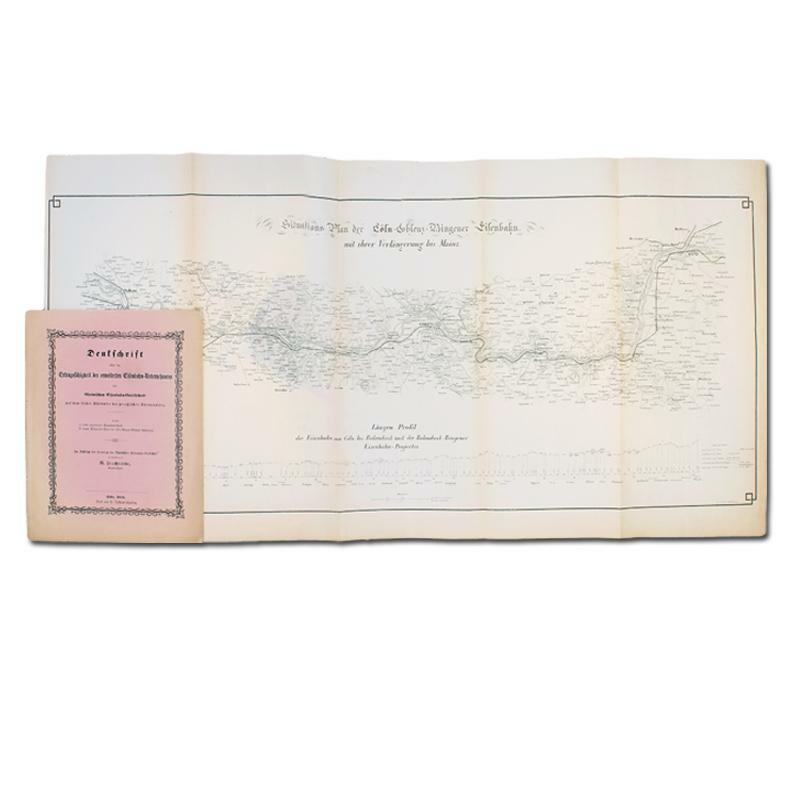 Map titled: 'Guide through Ohio, Michigan, Indiana, Illinois, Missouri, Wisconsin & Iowa. Showing the Township Lines of the United States Survey'. Map by J. Calvin Smith. Map measures 64.5 cm by 56 cm. Map in nice condition with only a few small tears and light foxing. Panoramaansicht, "Panorama von Potsdam vom Brauhausberg aus aufgenommen". - kolorierte Aquatinta v. Hausherr n. Henning b. Hübenthal & Comp., um 1855, 13,5 x 50,5 Nicht bei Drescher/Kroll bzw. Ginsberg / Schendel. -Schönes Panorama von Potsdam. Der Blick reicht vom Neuen Palais bis zum Babelsberg. Mittig die Nikolaikirche. - Mit geglätteten alten Querfalten. Budapest - Rudolf von Alt, c. 1855. RARE, STRIKING BIRD?S EYE VIEW OF BUDAPEST?Pesth-Ofen. / Budapest.? 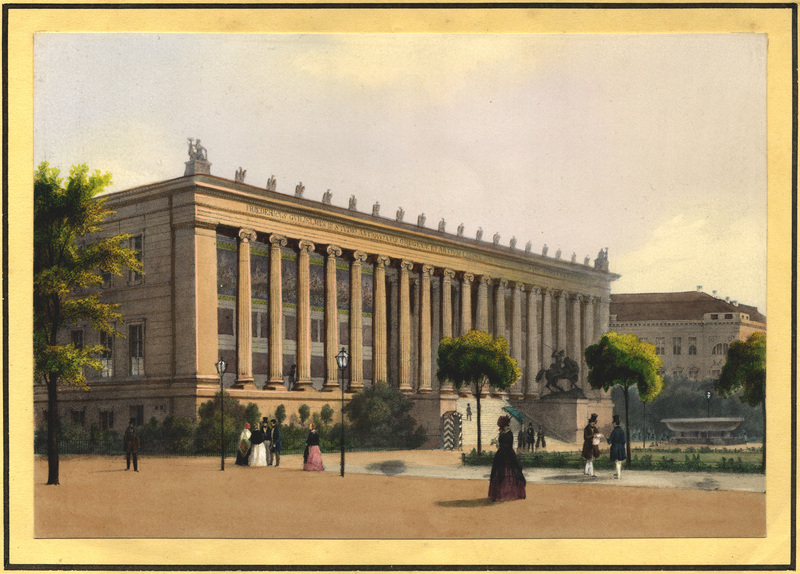 lithograph in colour made by Rudolf von Alt, approx. 1855. Printed in Vienna by Reiffenstein & R?sch. Size: (view) 41,5 x 57,5 cm, (incl. text) 46,5 x 57,5 cm.Across the Danube we see the Sz?chenyi Chain Bridge (Sz?chenyi l?nch?d), at the time one of the largest bridges in the world, that had connected Pest and Buda after the Hungarian Revolution in 1849.The Kossuth Lajos t?r where great public buildings were erected in the second half of the 19th century, is still called T?m? t?r ("Landfill Square"), a low-lying territory flanking the river, filled with rubbish to raise the level of the ground.It is the time just before the Austro-Hungarian Empire. A time in which traditional aristocracy gradually faced increasingly wealthy men of the cities, who like elsewhere in Europe achieved wealth through trade and industrialization. Newly prosperous members of the bourgeoisie erected large homes, and began to take prominent roles in urban life. Infrastructure, such as railroads, in aid of industrialization, transportation and communications was developed everywhere.The important view painter Rudolf von Alt (1812-1905) was famous, well beyond the frontiers of Austria, for his ruin landscapes, his city views and his interiors and for his bold and contrasting colours. Von Alt knew constantly how to bring something new to his work. His very clear and lightened style, without insipidness or cheesiness, evolves into an almost visionary sense of the atmospheric reality. As it was ?Nach d[er] Natur gez[eichnet]? [drawn after nature], this magnificent view of Budapest must have been made after Von Alt flew over the city in a balloon.Price: Euro 2.500,-. The seat of war in the East. First series. Second series. London, Paol & Dominic Colnaghi,1855-1856, tre volumi (due di cm. 37 x 56 e uno di cm. 55 x 38) rilegati in mezza pelle coeva con angoli, con titoli e fregi dorati ai piatti ed ai dorsi, qualche lieve spellatura (un volume di testo e due volumi contenenti le tavole) due frontespizi litografici, una tavola litografica dedicatoria, pp. (12) + (12) con 39 + 40 bellissime tavole litografiche a colori (complessivamente le tavole sono 81 poichŽ i due frontespizi sono considerati nella numerazione dellÕindice come tavola I, della prima serie e tavola 37 della seconda serie). Quasi tutte le tavole hanno a fronte velina con impresa la spiegazione dellÕimmagine. Le litografie sono di Simpson, Haghe, Walker, Needham, Marin, Vinter, ecc. Qualche strappo anticamente riparato ad alcuni margini bianchi senza mai perdita di testo, qualche lieve antica gora sempre ai qualche margine bianco. Buona copia in ottime condizioni. Simpson ha accompagnato la British Expedition in Crimea, le sue immagini sono state disegnate sul posto e sono state le immagini ufficiali della guerra pubblicate dalle principali aziende di Londra. Philadelphia: D. Rice & A. N. Hart, 1855 Originally published in folio between 1836 and 1844, the three volume set was first reissued in royal octavo from 1848-1850. This is the third octavo edition, with 120 hand colored plates produced by J. T. Bowen whose lithographs were used in all four of the first octavo editions. 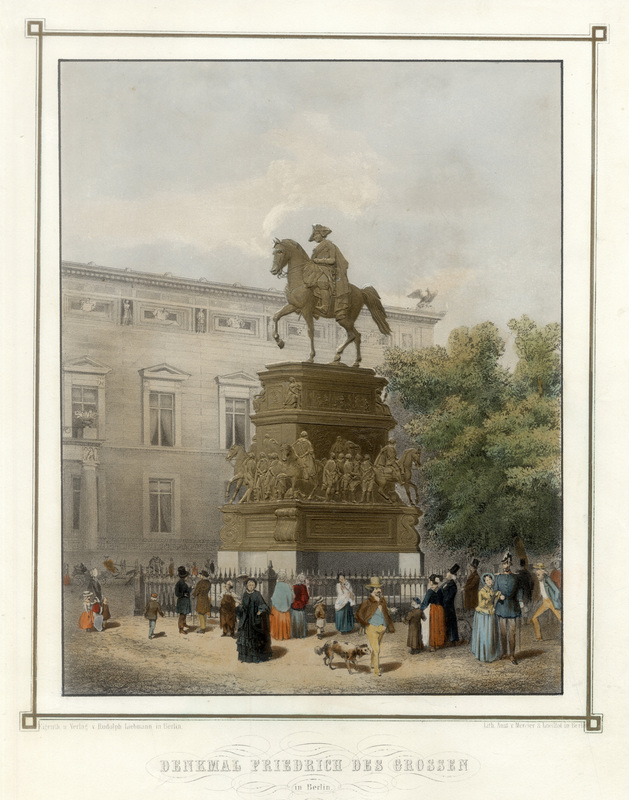 The lithographs are based upon the original paintings of Charles Bird King, which were destroyed by a fire in 1865 at the Smithsonian where they were exhibited. 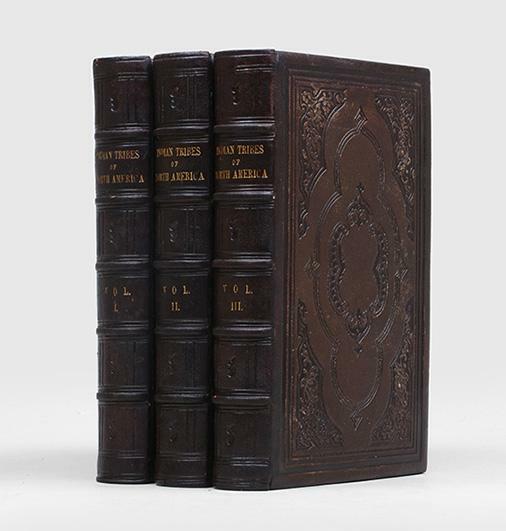 Original full Moroccan leather covers with blind stamp, and gilt lettering in two of the six spine compartments. Raised spine bands. All edges are gilded. Leather is a bit rubbed and scuffed along edges, mostly lower, and show a few scuffs and light rubbing on joints. Corners are a little worn. Light smudges and foxing scattered throughout all volumes, though contents and plates are generally clean. Tissue guards are intact, with an occasional small tear or misfold. All three volumes remains tight. . Third Edition, Thus . Full Leather. Good+/No Dust Jacket. Royal Quarto. Gariboldi G. dis. - Naymiller F. inc. & Campi F. acq. 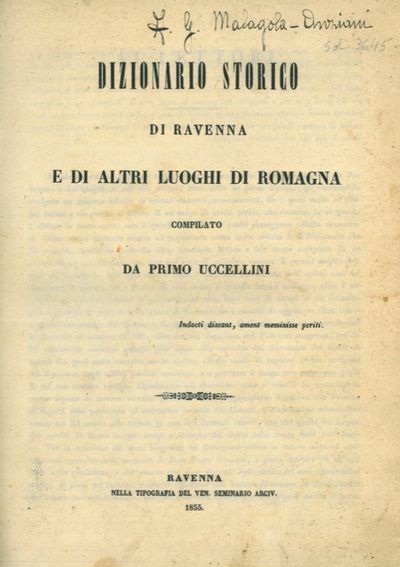 Dizionario storico di Ravenna e di altri luoghi di Romagna. Ravenna, Tipografia del Ven. Seminario Arciv. 1855, 4to, rilegato in tutta tela non recente con tasselli rossi, fregi e titoli dorati ai dorsi, tagli spruzzati in azzurro, pp. 513, testo stampato su due colonne. La storia di Ravenna e della Romagna realizzata mettendo in ordine alfabetico nomi comuni e propri. Rara monografia di notevole importanza e di facile consultazione. In ottimo stato. Natural Elements of Political Economy. 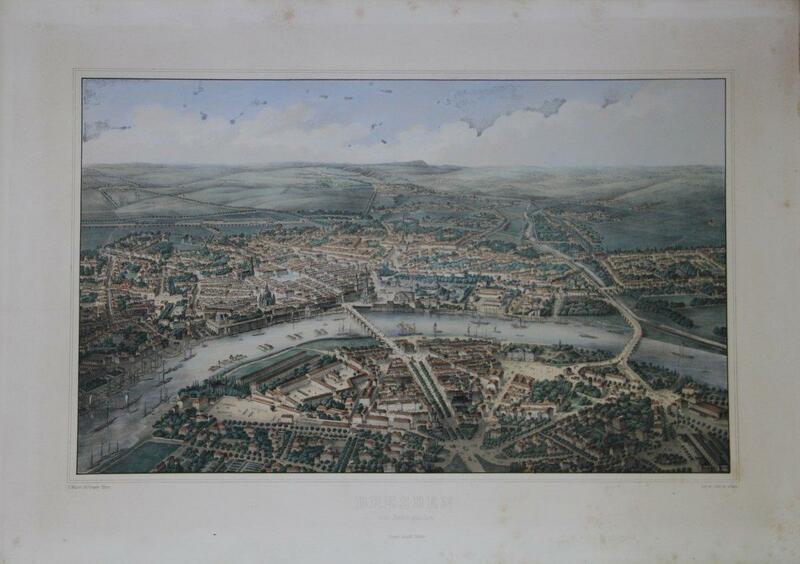 London: Longman, Brown, Green, and Longmans,, 1855. Octavo (191 x 118 mm). Contemporary half calf and marbled boards, spine decorated gilt in compartments, morocco label. Extremities lightly rubbed, the leather surface a little worn in places, light spotting to first and last few leaves; a very good copy. First edition. The author of two works which are "notable as early attempts to relate the study of psychology and physiology to political economy. In his Natural Elements, Jennings defined political economy as investigating 'the relations of human nature and exchangeable objects'. Consumption he defined as concerned with the contemplated effect of external objects upon man, and Production with the contemplated effect of man upon external objects. Jennings's treatment of the sensations attending consumption led Jevons to describe him as 'the writer who appears to me to have most clearly appreciated the nature and importance of the law of utility'. Hence it is as an early utility theorist that Jennings has been remembered... He forecast the use of mathematical methods, without himself employing them." (R.D. Collison Black in The New Palgrave). Denkschrift über die Ertragsfähigkeit des erweiterten Eisenbahn-Unternehmens der Rheinischen Eisenbahn-Gesellschaft auf dem linken Rheinufer der preußischen Rheinprovinz. New York: Miller, Orton & Mulligan, 1855. First Edition. Hardcover. Very Good. 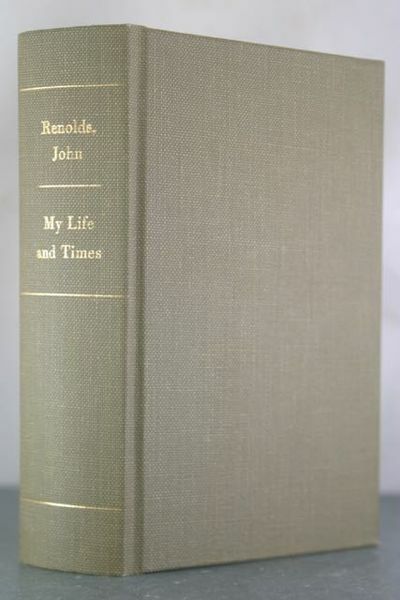 First edition, first printing. Very Good. 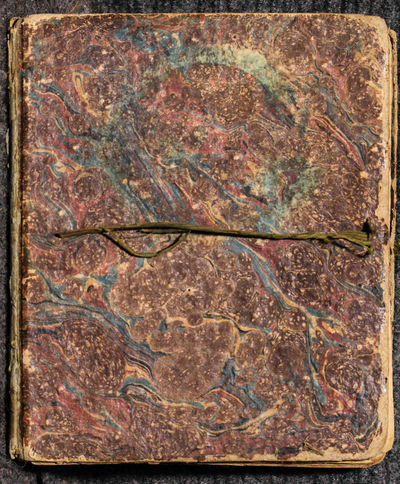 Publisher's brown cloth binding stamped in blind, gilt stamping to spine. Very Good. Cloth lightly chipped at spine ends and worn through at corners. Light lean to binding. Pages show foxing and age spots, end sheets browned. An important slave narrative, and the author's second autobiography. In much nicer shape than normally encountered, with gilt stamping to spine still relatively bright and legible, and rare as such. 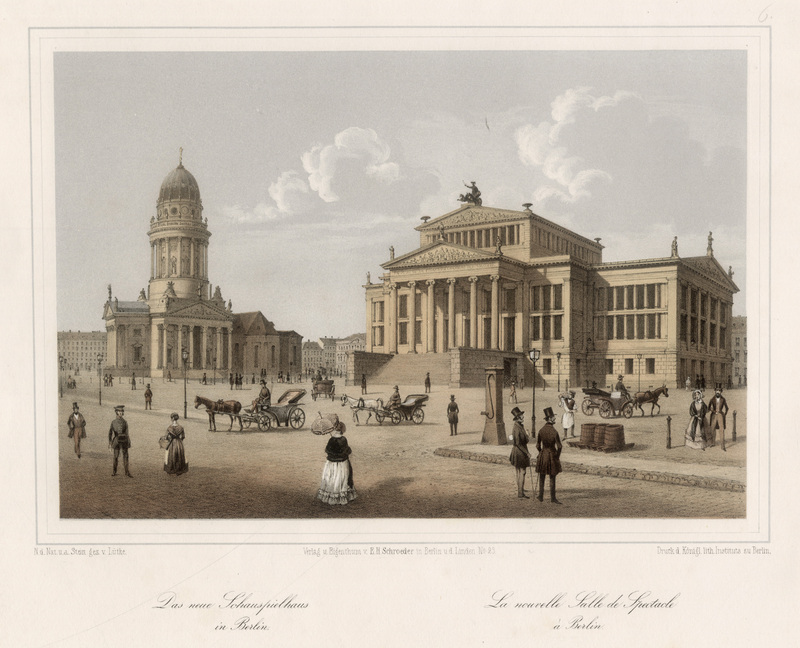 Schauspielhaus und Deutscher Dom, "Das neue Schauspielhaus in Berlin. - La nouvelle Salle de Spectacle à Berlin". - kol. Lithographie m. Tonplatte n. u. v. Lütke b. Schröder in Berlin, um 1855, 17 x 23,5 Ernst, L.E. Lütke, Nr. 43; Kiewitz 806. - Blick von der Markgrafenstraße aus, links der Deutsche Dom. Das neue Schauspielhaus in Berlin. - La nouvelle Salle de Spectacle à Berlin. - farb. Lithographie m. Tonplatte n. u. v. Lütke b. Schröder in Berlin, um 1855, 17 x 23,5 Ernst, L.E. Lütke, Nr. 43; Kiewitz 806. - Blick von der Markgrafenstraße aus, links der Deutsche Dom. - Mit Verlegertrockenstempel. 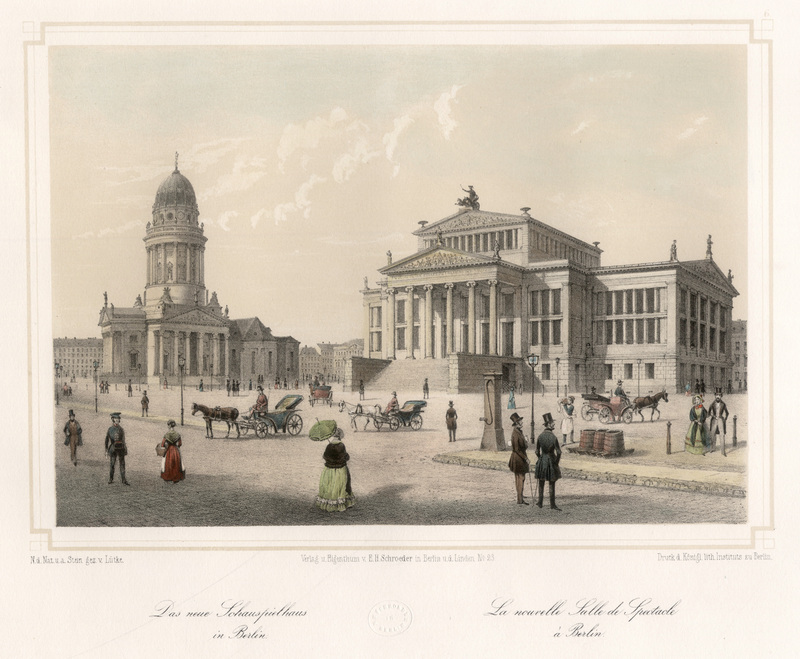 Der Lustgarten mit dem Museum und dem Dom in Berlin. Le Jardin . - Aquatinta v. Hausherr n. Schröder ( Wilhelm ) b. Hübenthal & Comp., um 1855, 19 x 28 Kiewitz 1188; Ernst, Wihelm Schröder, Nr. 3. - Blick vom Schloß aus zum Lustgarten. Mittig im Hintergrund das alte Museum, rechts der Berliner Dom. Im Vordergrund schöne Staffage mit Passanten und Kutschen. Das Königliche Museum in Berlin. - Le Musée Royal à Berlin. - altgouachierte Lithographie m. Tonplatte v. Lütke b. Schröder in Berlin, um 1855, 16,5 x 23,5 Kiewitz 810; Ernst, Bd. 1. Lütke, Nr. 53. - Blick vom Zeughaus her.- Die Ansicht in leuchtendem Gouachenkolorit. Vorliegendes Exemplar ist bis zur Bildkante beschnitten und montiert. 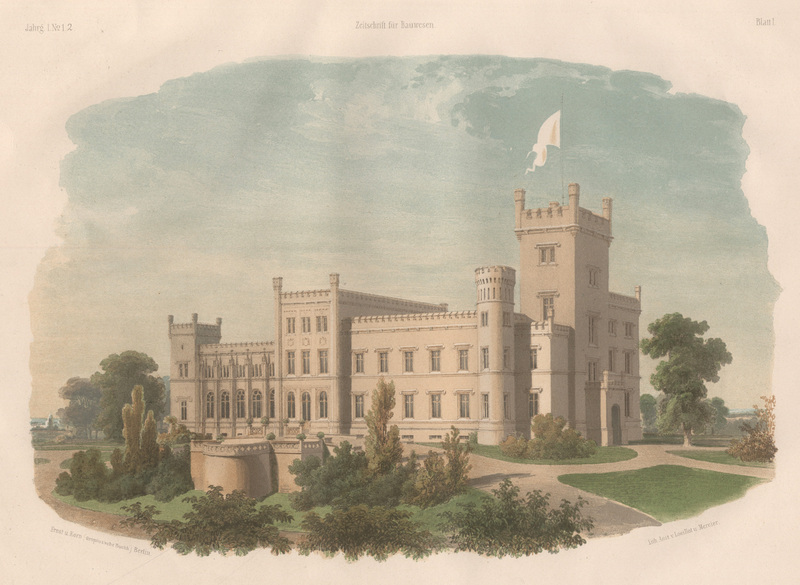 Südseite von Osten, "Schloß Sans-Souci bei Potsdam". - kol. Lithographie m. Tonplatte v. F. Meyer b. Schröder in Berlin, um 1855, 16,5 x 23,5 Nicht bei Drescher/Kroll und Giersberg/Schendel. - Blick zum Schloß von der Gartenseite, i. Vgr. ein Springbrunnen ( Entwurf von L. Persius ), im Hintergrund die Flügel der Windmühle. 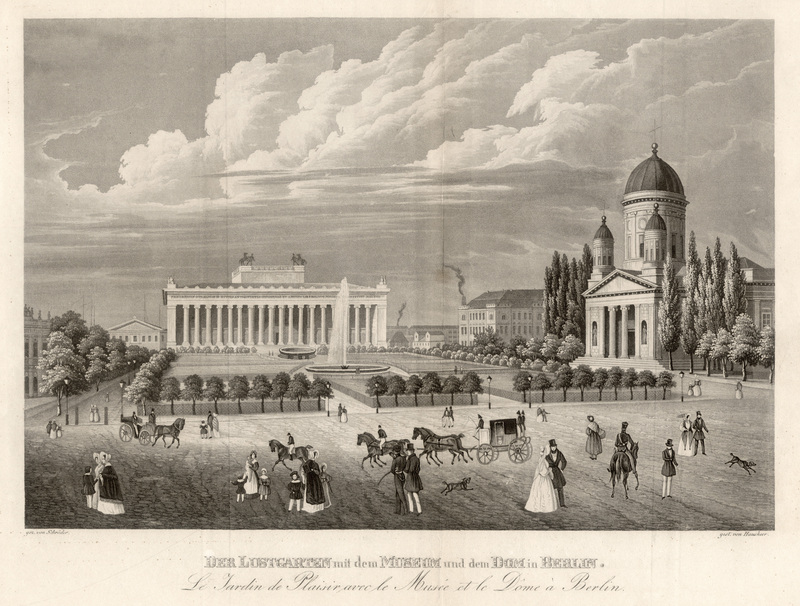 Im Park die antiken Vasen, die nach der Umgestaltung des Gartens durch Lenne 1837 aufgestellt wurden. Sur la théorie de la transformation des fonctions Abéliennes. Kbhvn. : Reitzels Bo og Arvinger 1855. 20+32+16+24+32+26+48+30+22 s. Let bruneret eksemplar indbundet i ét smukt nyere privat halvlæderbind i gammel stil med forgyldt ryg. Bindet signeret Henning Jensen Bogbind Pistolstræde Forgylder: Hagel Olsen. Subskribenten på dette sæt var herredsfoged With, hvis navn er skrevet på adskillige af numrenes titelblade, og enkelte blade med blyantsmarkeringer sandsynligvis af samme. * Himmelstrup 180. \"Ansicht vom Hohenzollern\". Blick auf die Burg, im Vordergrund die Kapelle, rechts im Hintergrund Hechingen. CASTRO, Casimiro , A. GALLICE, M. MOHAR, E. PEREZ and J. ALVAREZ. 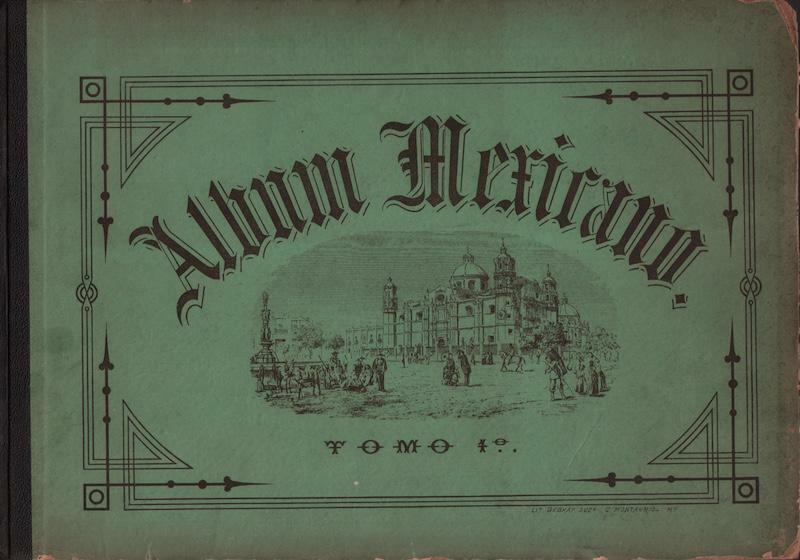 Album Mexicano: collección de paisajes, monumentos, costumbres y ciudades principales de la Republica. 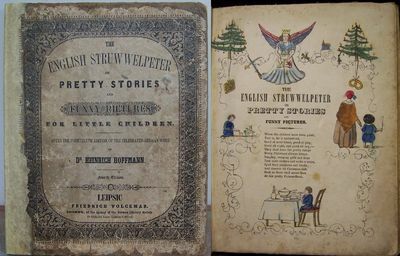 London, Friedrich Volckmar, Leipsic & the Agency of the German Literary Society, pre 1855.. FOURTH ENGLISH EDITION after the 14th German edition pre 1855, small 4to, 245 x 200 mm, 9½ x 7¾ inches, original buff (or cream?) card covers, decorative border to covers, vignette on lower cover, lettered on upper cover only. Pages mounted on linen by an early owner, 24 pages of hand coloured illustrations following the original edition (Peter's hair hangs down over his face). Expertly rebacked at some time in matching paper, new free endpapers, corners worn, covers rubbed and slightly soiled, lower cover with diagonal crease and crack to surface paper, edges of covers worn with chipping to surface paper (maximum 10 mm, ½"). Margins darkened, well thumbed and slightly foxed, occasional very slight soiling, occasional very slight smudging of colour, possibly a little water-colour added to last 2 pages. Acceptable copy of an early English edition. MORE IMAGES ATTACHED TO THIS LISTING, ALL ZOOMABLE, FURTHER IMAGES ON REQUEST. POSTAGE AT COST. Bunsen, R(obert) und H. E. Roscoe. Photochemische Untersuchungen. 6 Mitteilungen in 5 Bänden. (alles Erschienene). 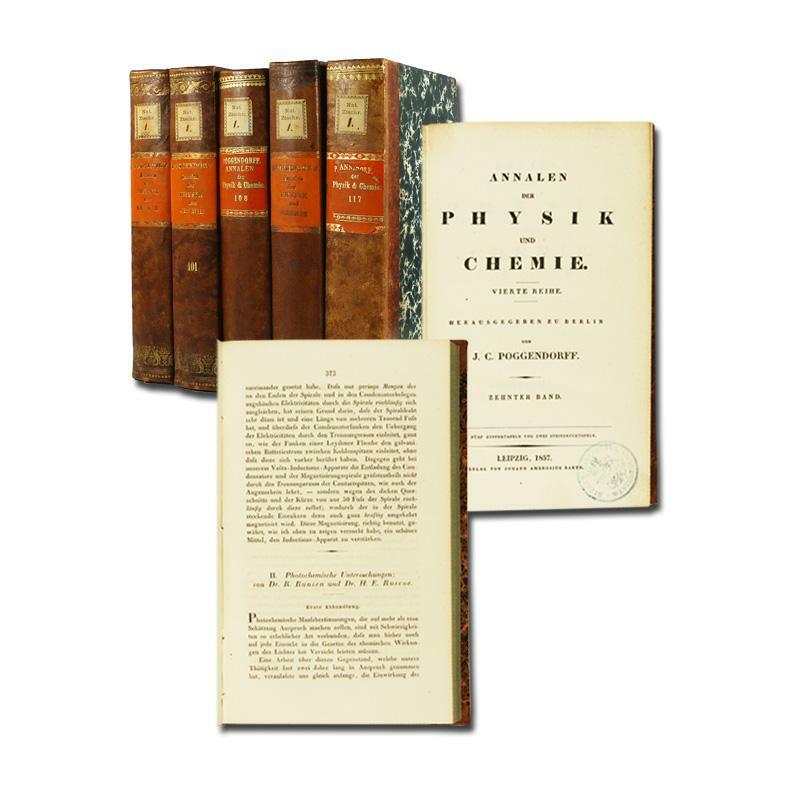 Zusammen 247 S. In: Annalen der Physik und Chemie. Hrsg. J. C. Poggendorff. Bände 096, 100, 101, 108 und 117. Dresden vom Ballon aus gesehen. Große Gesamtansicht aus halber Vogelschau. Lithographie mit Tonplatte von Heinrich Walter nach Eltzner. 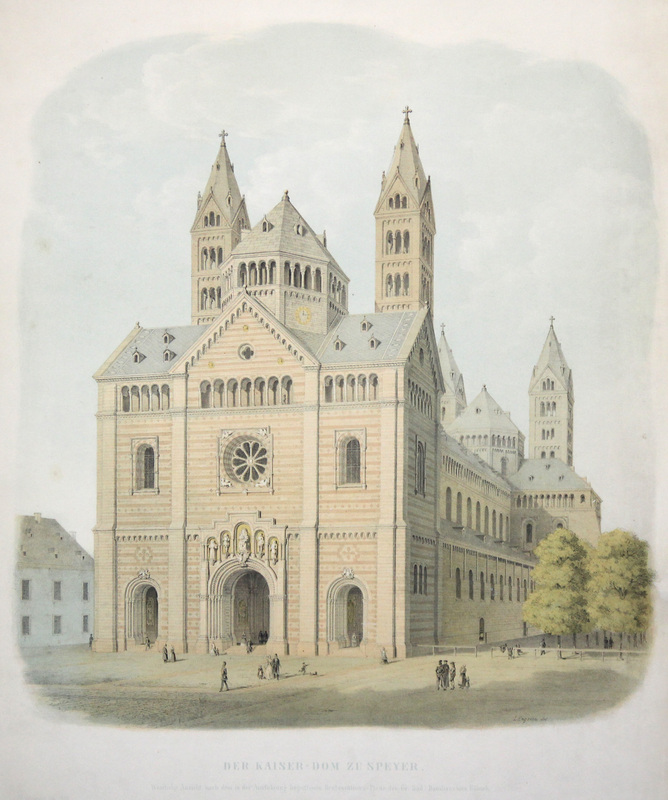 TA., Dom, Ansicht v. der Maximilianstr., "Der Kaiser-Dom zu Speyer. Westliche Ansicht nach dem in der Ausführung begriffenen Restaurations-Plane .". - kol. Lithographie m. Tonplatte v. Engesser, um 1855, 45 x 41 (H) Prächtiges Blatt. Am rechten Rand ein restaurierter Einriß. Port Jackson NY: Clinton County. Very Good with no dust jacket. 1855. Hardcover. Exigetical [extracting the meaning of]. Compendium of various Methodist seminarians' notes. No place, no date - but composed ca. 1830 and compiled ca. 1855. 4to, original marbled boards with old green ties; panels loose, exterior generally worn. Some leaves blank but mostly filled-in recto/verso in brown ink, manuscript text in seeming multiple hands, with later compiler's manuscript title page: "Mrs. Arvilla H. Elmore / Scrap. Book / Port Jackson. Clinton. Co / New York / February 1855." Internal evidence and some very preliminary research indicate contents to have been composed several decades earlier, perhaps in Vermont. Excerpts in Hebrew from Psalms, Torah, and Maimonides, with German-language commentary. Arvilla Elmore's original poetry and hymnody in English at rear pastedown and end matter. Includes nicely crafted Hebraic alphabet script. Worn cloth ties. . Eight Year`s Wanderings in Ceylon. London, Longman, Brown, Green and Longmans, 1855. XII + (2) + 423 + (1) + 24 pp. 6 colour plates. Publisher`s cloth. Spine faded and a little stained. . . Publisher`s full cloth. 6 coloured plates. None Stated. Hardcover. Belleville, 1855. 12mo, later green cloth, 600, xxiii pp. With frontispiece portrait of Reynolds. First edition. Howes notes a printing of 400, with 300 copies destroyed in the Chicago Fire. An attractive copy, rebound, with very good contents. Unfortunately the title page shows tears at top edge with loss, and also in the center of the title page with loss to text. Otherwise very good plus, in a sound and attractive modern binding with very light foxing to contents. "The best description of frontier life in Illinois"--Streeter Sale. Howes R-236. Graff 3479. Streeter Sale 1510. Flake 7122. Sabin 70420. . Good. 1855. First Edition. 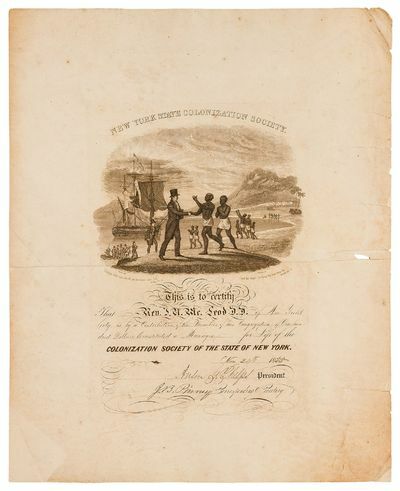 New York: New York State Colonization Society, 1855. Very Good. Partially printed illustrated certificate or broadside. Measuring 14" x 17". Large steel engraved vignette of a sailing ship with African and white men shaking hands. Horizontal crease with tidy professional repair, a couple of modest tears and a small chip, very good. Calligraphically filled out to Rev. 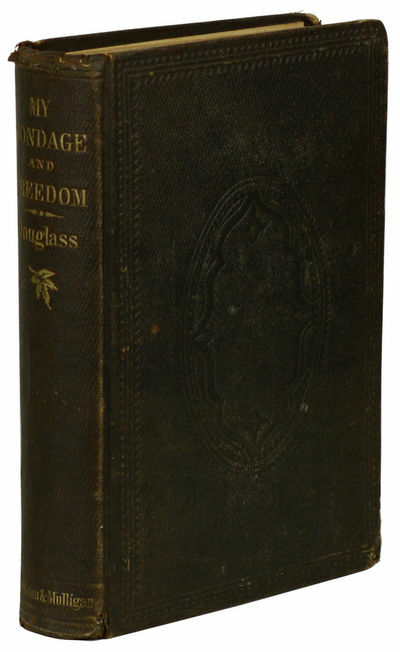 McLeod, and dated in 1855 (the partially printed form seems to have been used for nearly two decades), and Signed by the noted abolitionists Anson Green Phelps and John Brooke Pinney. Pinney was Colonial Agent for the Colonization Society and later served as Governor of Liberia. A large and handsome certificate. Memoirs of the Life, Writings, and Discoveries of Sir Isaac Newton. 2 volumes. Edinburgh:: Hamilton, Adams 1855., 1855. 2 volumes. Tall 8vo. xxii, , 478; xxii, , 478 pp. Frontis. portraits, figs., index. Contemporary blind- and gilt-tooled straight grain calf, gilt-stamped calf spine labels, all edges marbled. ANDREW CARNEGIE'S COPY: Bookplate of Andrew Carnegie. Near Fine. First edition. A beautifully bound copy of the first major biography of Sir Isaac Newton, written by "the father of modern experimental optics," Sir David Brewster. Newton was very much a hero of Brewster's, and after the success of his slim popular biography The Life of Sir Isaac Newton in 1931, Brewster spent another 20 years doing research and compiling this more complete account. While Brewster's admiration is nearly palpable throughout both volumes, faltering only briefly when the subject of Newton's interest in alchemy arises ("There is no problem of more difficult solution than that which relates to the belief in alchemy, and to the practice of its arts, by men of high character and lofty attainments." - 372). Brewster, a devout Christian, could not countenance such irreligious experiments. PROVENANCE: Andrew Carnegie (1835-1919) was one of the most successful industrialists and philanthropists in American history, and for a number of years held the title of richest man in America. After accumulating one of the greatest fortunes in the world, Carnegie spent the last 18 years of his life giving 90% of it away, starting charitable foundations, founding Universities, and building around 3,000 "Carnegie" libraries in the United States, Britain, Canada, and other English-speaking countries. A serious bibliophile, Carnegie wrote a few books himself, including An American Four-in-hand in Britain and Triumphant Democracy. BAD KISSINGEN., "Kissingen." Gesamtansicht von einer Anhöhe aus. Gegenüber die Hügel mit Burgruine Bodenlaube, mittig die Saalebrücke, vorne Staffage. - Lithographie ( m. farb. Tonplatte ) v. Loeillot n. Hitzig b. Ernst & Korn, 1855, 19 x 27 (Blattgröße 24 x 34 ) Seltene Ansicht. Hitzig baute dieses Schloß im Auftrage derer von Schwerin. Ein Mord in Riga. Erzählung. 12. 13,8 x 11,4 cm. 247 Seiten, (Erstausgabe) In befriedigendem Zustand. Ehemaliges Leihbibliotheks-Exemplar mit den entsprechenden Stempeln und Markierungen, Einband berieben, Rücken angerissen und mit Resten eines Bibliotheksrückenschildes Buchblock leicht gebräunt und in den Rändern etwas braunfleckig Schmutztitel und Titel leicht braun- bzw. wasserfleckig, auf den vorderen Spiegel die Lesebedingungen einer Leipziger Leihbibliothek und Buchbinderei montiert (C. Jungmann, Plagwitz). Das Buch wurde in Leipzig in Kommission von Heinrich Hübner vertrieben einer der ersten deutschen Kriminalromane. Der Titel erschien auch gleichzeitig in der Reihe Album. Bibliothek deutscher Originalromane der beliebtesten Schriftsteller, herausgegeben von J. L. Kober, Zehnter Jahrgang, im gleichen Jahr 1855 unter der gleichen geteilten Verlagsbezeichnung. Holtei nahm, sehr jung, 1815 als Freiwilliger am Kampf gegen Napoleon teil. Philadelphia: D. Rice & A. N. Hart,, 1855. with biographical sketches and anecdotes of the principal chiefs. Embellished with one hundred and twenty portraits, from the Indian Gallery in the Department of War, at Washington. 3 volumes, large octavo (263 x 168 mm). Publisher's deluxe binding of dark brown morocco over bevelled boards, spines gilt lettered, blind ruled and with a blind "Aldine leaf" motif in compartments, sides blind stamped with a large ornamental block, all edges gilt, yellow coated endpapers. 120 hand-coloured lithograph plates by J. T. Bowen, mostly after Charles Bird King. Pictorial bookplate of George Raithel Brooks, St Louis, director of the Missouri Historical Society. Bindings a little rubbed at extremities, accasional thumbing, inner joints cracked but sound. A very good set. 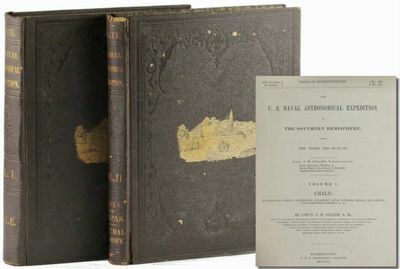 Third octavo edition, originally published 184850, following the folio edition of 1836-44. A magnificent record of Native American dignitaries - "the most colourful portraits of Indians ever executed" (Howes). McKenney, who was Superintendent of Indian trade from 1816-1822 and headed the US Bureau of Indian Affairs from 1824-1830, collaborated with James Hall, the Illinois journalist, lawyer, state treasurer and from 1833 Cincinnati banker, to produce this famous work. The text, which was written by Hall based on information supplied by McKenney, takes the form of a series of biographies of leading figures amongst the Indian nations, followed by a general history of the Native Americans. The work is now famous for its colour plate portraits of the chiefs, warriors and women of the various tribes, faithful copies of original oils by Charles Bird King painted from life in his studio in Washington (McKenney commissioned him to record the visiting Indian delegates) or worked up by King from the water-colours of the young frontier artist, James Otto Lewis. The original paintings were destroyed in the disastrous Smithsonian fire of 1865 so their appearance in this work preserves the only known likeness of many of the most prominent Native American leaders of the early 19th century. This was the most elaborate plate book produced in the United States to that date, and its publication involved a number of different printers and lithographers. Gesamtans. der Insel aus der Vogelschau, umgeben von 13 kleinen Teilans. 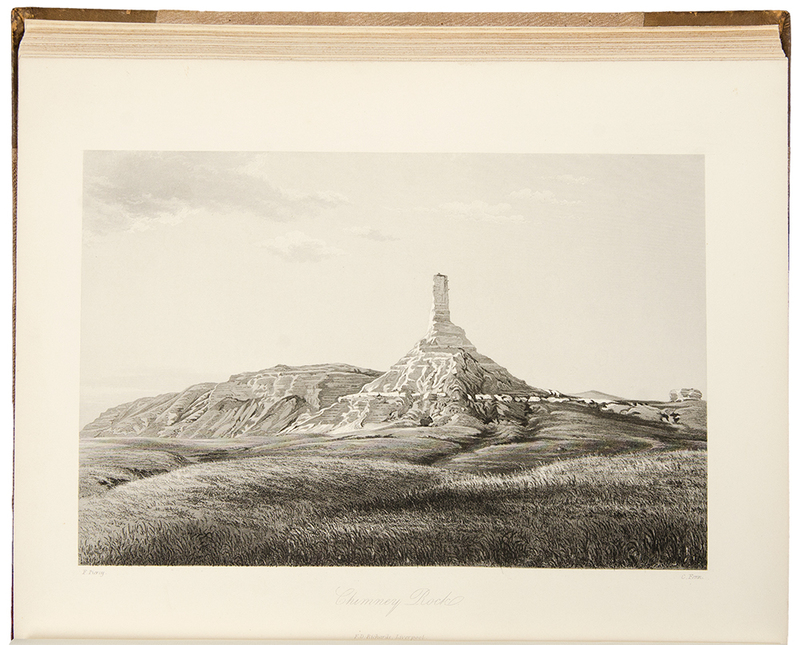 - Stahlstich ( m. Bordüre ) v. Payne n. Eltzner b. Payne, um 1855, 20,5 x 34,5 Die Randansichten zeigen: Obelisk vor Schloß Putbus, Friedr. 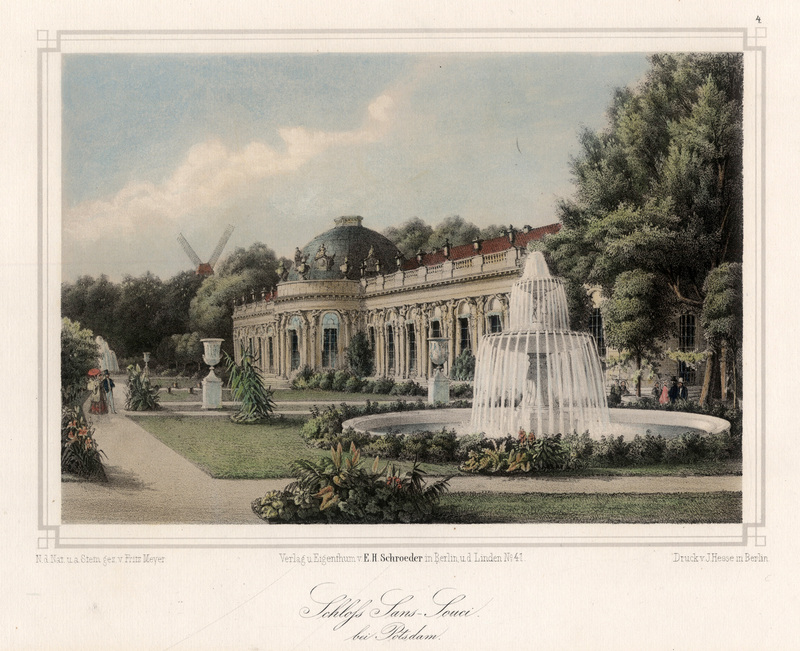 Wilhelm Bad, Schloß Putbus, Sargard, Schloß Spyker, Vorgebirge Arkona, Schweizerhaus auf Stubbenkammer, Groß- und Klein Stubenkammer, Jagdschloß Granitz, Gesamtansicht von Bergen, Pavillion in Putbus, Theater in Putbus, Leuchtturm zu Arcona. [Nagasaki, 1855. pp., plus five color sketches on three sheets, approximately 16 x 22 inches. Manuscript: Leaves tied with waste paper. Light soiling and creasing at edges. Drawings: Ink and water color. Sheets each formed by two joined folio leaves. Backed with tissue. Heavy worming to original drawings, somewhat alleviated by tissue repair. Overall, good plus. A short report written in a Japanese scribal hand, describing the arrival of an English ship at Nagasaki. 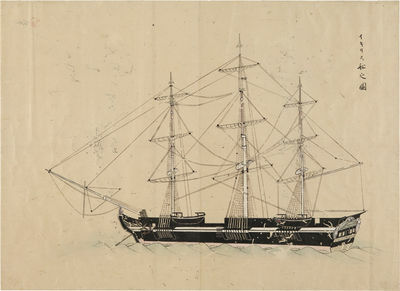 The report is accompanied by five large ink and watercolor sketches of the H.M.S. Saracen and related images, comprising depictions of the ship, a British naval rating and an English gentleman, a red British ensign flag, and two pigs. Chief among these is a fine, large rendering of the Saracen herself, a ten-gun "Cherokee class" sloop, which the Royal Navy produced in large quantity during the mid-19th century, and which served as a dependable survey and supply vessel on worldwide voyages. The United States, with its commission of the Commodore Perry's expedition, was not the only western power attempting to gain a foothold in Japan for the purposes of trade at this time. Six months after Perry's Kanagawa Treaty, in October 1854, the United Kingdom and Japan agreed to the Anglo-Japanese Friendship Treaty, which roughly paralleled the provisions of the earlier U.S. agreement, and opened the ports of Nagasaki and Hakodate to British ships. From John Tronson's narrative of the voyage of the H.M.S. Barracouta in the Far East during this time, it is known that the H.M.S. Saracen arrived in Nagasaki, where Tronson's own ship had been anchored for several days, at the end of August 1855. It is therefore probable that the watercolor of the Saracen and other sketches date from roughly this period. While the choice of British dress and ensign as subject matter reflect an obvious interest in foreign appearances, the porcine imagery at first seems less explainable in such a manner. A letter from a Japanese supply officer in response to a request for pigs and other livestock transcribed in Tronson's account, however, plainly suggests a scarcity at that time: "The pig is no common article of food among the Japanese. It is bred by the compradors, who are appointed for the Dutchmen, and for the Chinese who have their residences at Nagasaki. Therefore, pigs are bred in small number." An interesting document of the arrival of European sea trade from a Japanese perspective, with well-executed artwork. [Prob. Canton], 1855 Approx. 29 x 53 in. (73 x 135 cm). Original hand-coloring of selected features, some in wash, some in outline. Old folds, some separations at minor losses at folds, expertly mounted. Light browning and spotting. Very good condition. Archivally framed. A splendid display piece. A RARE MAP OF GUANGZHOU. Daniel Vrooman came to China in 1852 as a missionary from the American Presbyterian Church. Later U.S. vice-consul in Canton, Vrooman is said to have introduced the first cotton spinning plant in China. "No Western maps of the walled city existed until the middle of the nineteenth century, since the city was off-limits to foreigners." (Garret, Heaven is High, the Emperor Far Away, p. 142). 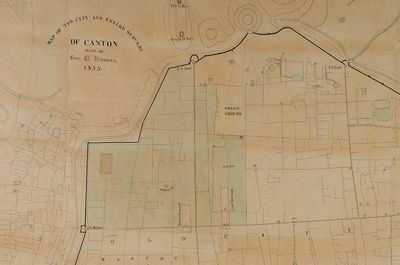 Because foreigners were forbidden from entering the walled city, Vrooman devised an ingenious plan to draw this map of Canton. "A very good map of the enceinte [urban fortification] was made by an American missionary, Daniel Vrooman, by taking the angles of all the conspicuous buildings therein, with the highest points in the suburbs; he then taught a native to pace the streets between them, compass in hand (noting courses and distances, which he fixed by the principal gates), until a complete plan was filled out. When the city was opened four years afterwards this map was found to need no important corrections" (Williams, The Middle Kingdom, p. 169). In addition to the walled city, this plan shows the area occupied by the Thirteen Factories shortly before they were destroyed in the Arrow War in 1856. The Thirteen Factories was the riverfront area outside the city walls reserved for foreign trade. The first area of China opened for foreign trade in the 18th century, the Thirteen Factories helped to make Guangzhou (or Canton, as it was then called by Europeans) one of the most wealthiest cities in the world. EXTREMELY RARE. Cordier 304 cites only the 1860 edition, and it appears that scholars are aware only of that edition, which incorporates the new artificial island Shamin (for example, the copy at the National Library of Australia is the 1860 edition). History of the Indian Tribes of North America, with biographical sketches and anecdotes of the principal chiefs. Embellished with one hundred and twenty portraits, from the Indian Gallery in the Department of War, at Washington. 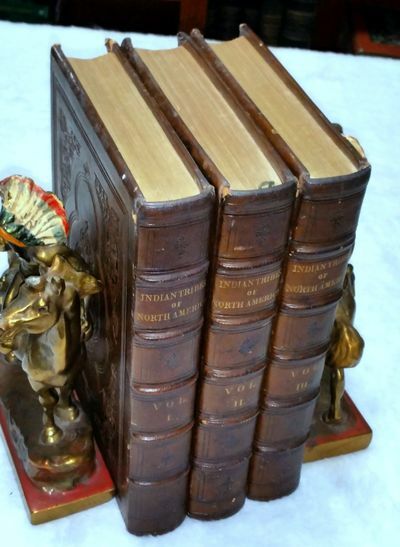 Philadelphia: D. Rice & A. N. Hart, 1855 - 3 volumes, large octavo (263 x 168 mm). Publisher's deluxe binding of dark brown morocco over bevelled boards, spines gilt lettered, blind ruled and with a blind "Aldine leaf" motif in compartments, sides blind stamped with a large ornamental block, all edges gilt, yellow coated endpapers. Pictorial bookplate of George Raithel Brooks, St Louis, director of the Missouri Historical Society. Bindings a little rubbed at extremities, accasional thumbing, inner joints cracked but sound. A very good set. 120 hand-coloured lithograph plates by J. T. Bowen, mostly after Charles Bird King. Third octavo edition, originally published 1848&#150;50, following the folio edition of 1836-44. A magnificent record of Native American dignitaries - "the most colourful portraits of Indians ever executed" (Howes). McKenney, who was Superintendent of Indian trade from 1816-1822 and headed the US Bureau of Indian Affairs from 1824-1830, collaborated with James Hall, the Illinois journalist, lawyer, state treasurer and from 1833 Cincinnati banker, to produce this famous work. The text, which was written by Hall based on information supplied by McKenney, takes the form of a series of biographies of leading figures amongst the Indian nations, followed by a general history of the Native Americans. The work is now famous for its colour plate portraits of the chiefs, warriors and women of the various tribes, faithful copies of original oils by Charles Bird King painted from life in his studio in Washington (McKenney commissioned him to record the visiting Indian delegates) or worked up by King from the water-colours of the young frontier artist, James Otto Lewis. The original paintings were destroyed in the disastrous Smithsonian fire of 1865 so their appearance in this work preserves the only known likeness of many of the most prominent Native American leaders of the early 19th century. This was the most elaborate plate book produced in the United States to that date, and its publication involved a number of different printers and lithographers. Howes M129; Sabin 43411. Denkmal Friedrichs des Grossen in Berlin. - kol. und goldgehöhte Farblithographie mit Prägedruck v. Mercier & Loeillot b. Rudolph Liebmann, um 1855, 29 x 23,5 (H) Nicht bei Ernst, Berlin in der Druckgraphik. Vergleiche aber in Band 2, Denkmäler, Nr. 8. ( anderer Verlag ). Schönes Blatt mit lebhafter Personenstaffage am Denkmal. Im Hintergrund das Palais des Kaisers. - Graphiken mit Prägedruck sind immer selten. Washington DC: A. O. P. Nicholson, 1855. Hardcover. Good +. Tall quartos. 2 volumes: xv; 556 pages; x, , 300 pages. 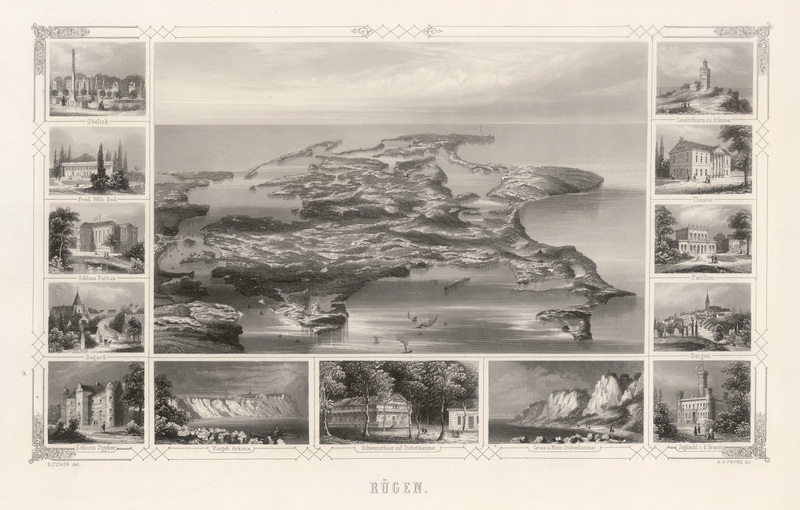 Volume I illustrated with tinted frontispiece engraving, 3 maps of Chile, large fold out panoramic view of Santa Lucia, colored engraving of an Araucanian Chief protected by green tissue, and engraved views and plans. 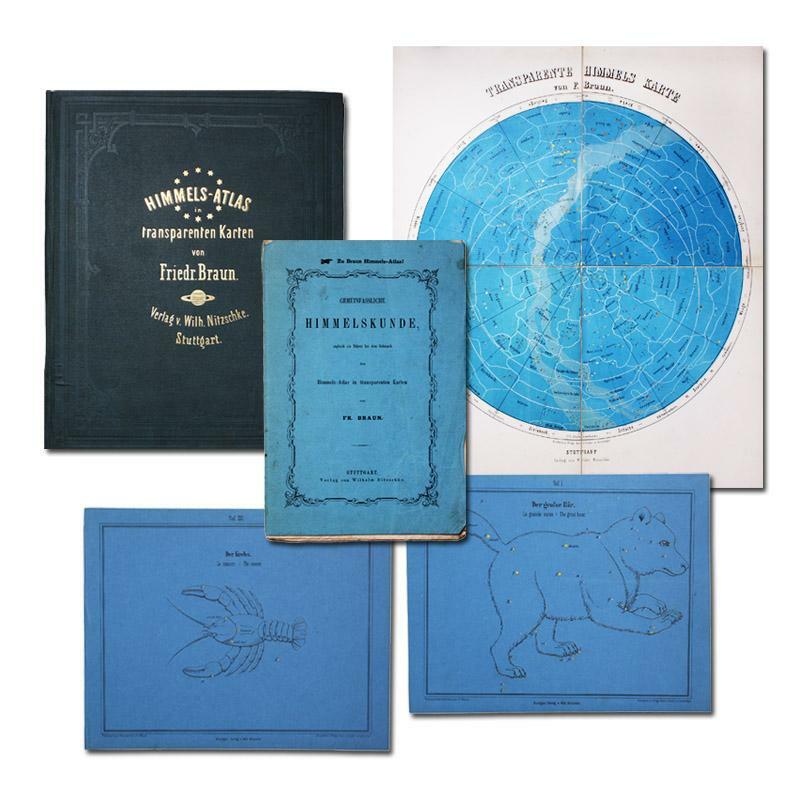 Volume II is illustrated with maps, colored engravings, illustrations and wood cuts. Brown cloth hardcovers with blind stamped decorative borders. Gilt illustrated front boards. Gilt title on spines. Volume II has 11 authors listed in the contents. Condition of the two volumes is good to very good. Light edge wear to cloth extremities volume I. Cloth shelf worn on volume II with partial splits to to the outer joints. Previous owner's name on both front paste downs. Volumes 3 and 6 are not present. Volumes 4 and 5 were not issued. Sabin 27419.